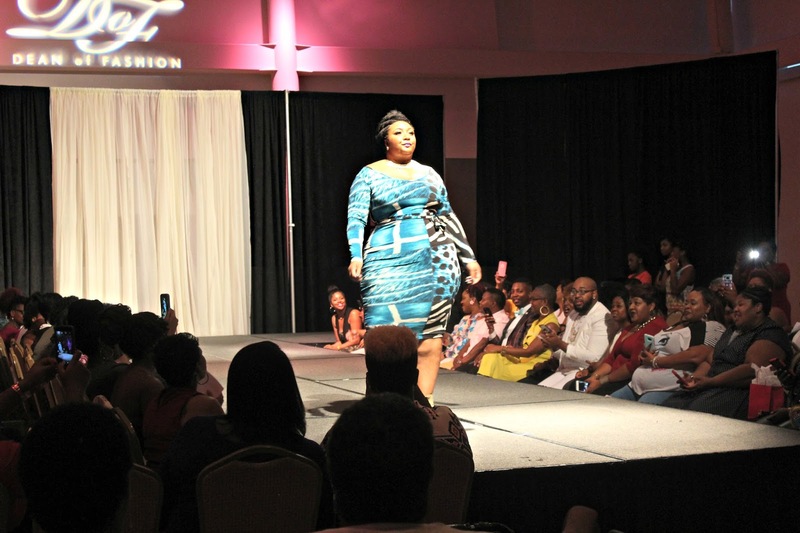 I am here to talk to you all about my experience and training that led up to “The Weight Is Over Fashion Show – Socialite Edition” this year. 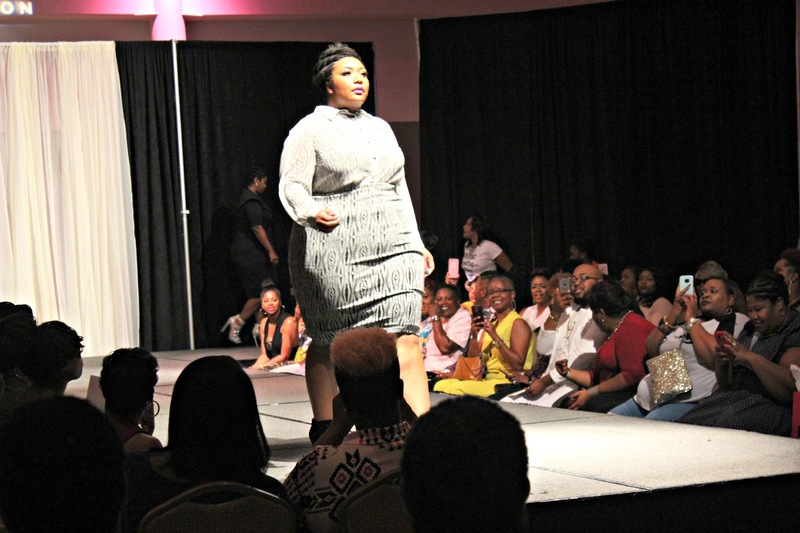 I enjoyed my exprience and felt like a real model struting down the runway. Not to mention my hair and makeup was on point thanks to the lovely ladies of The Institute of Beauty and Sand the Artist. 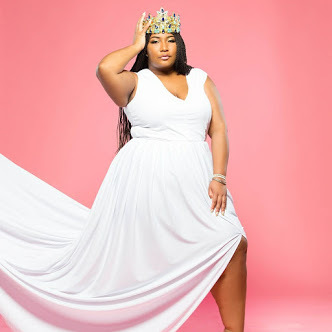 First I would love to thank Ashley of Dean of Fashion and the Creator of The Weight Is Over Fashion Show for arranging for Zii, model and makeup artist, to work with myself and the other models on runway training. 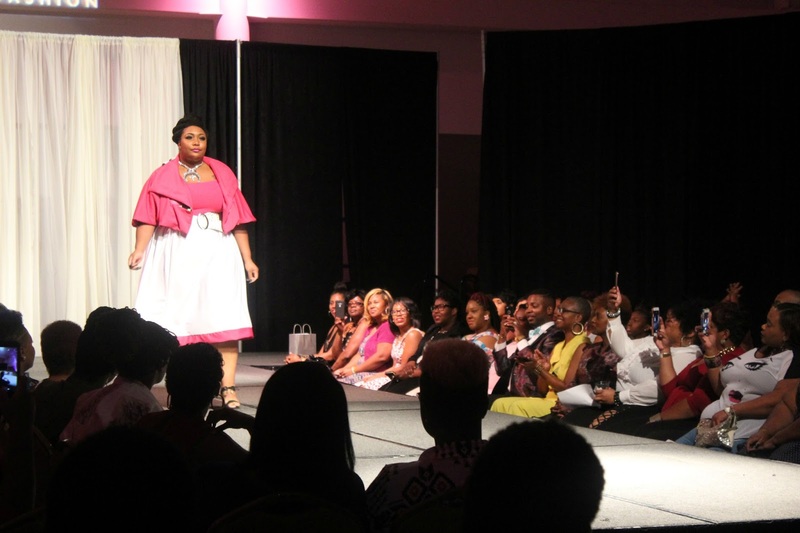 I am so suprised so much work goes into walking a runway. Which also led to acknowleding a lot of misconceptions. I honestly thought that being a runway model was EASY!!! I thought that models simply had to walk the runway, pose, and take a break between scenes. Runway models do not simply walk down the runway. 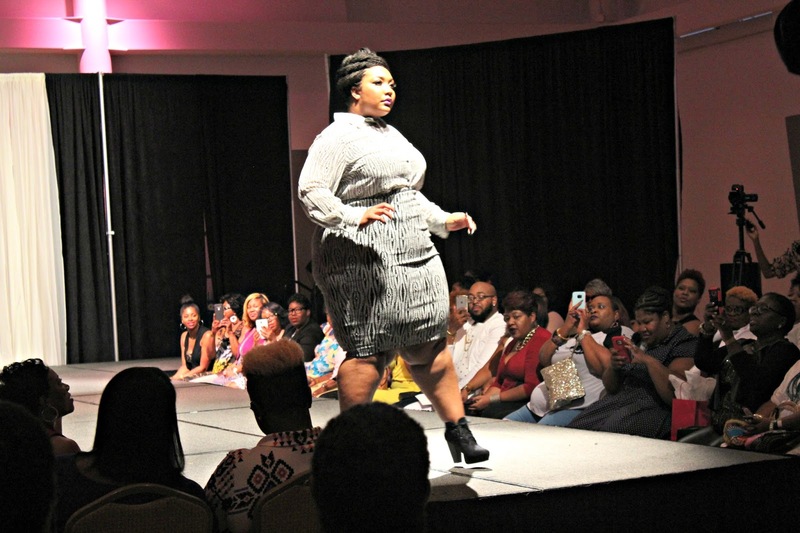 There’s nothing simple about walking down the runway. 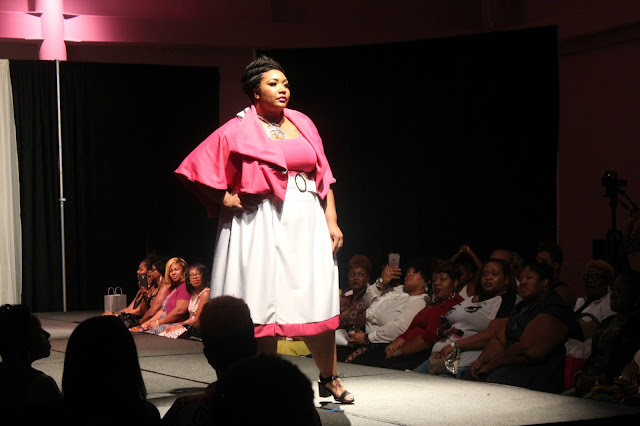 I literally had to gather my confidence and fear of falling to muster up the courage to get down the runway all while “acknowleding the audience.” It was so comforting seeing familiar faces in the crowd. Posing is not easy either! I remember trying to make my body pose the proper way that Zii taught me, but my body wouldn’t do what my mind told it to do. If that makes sense!? 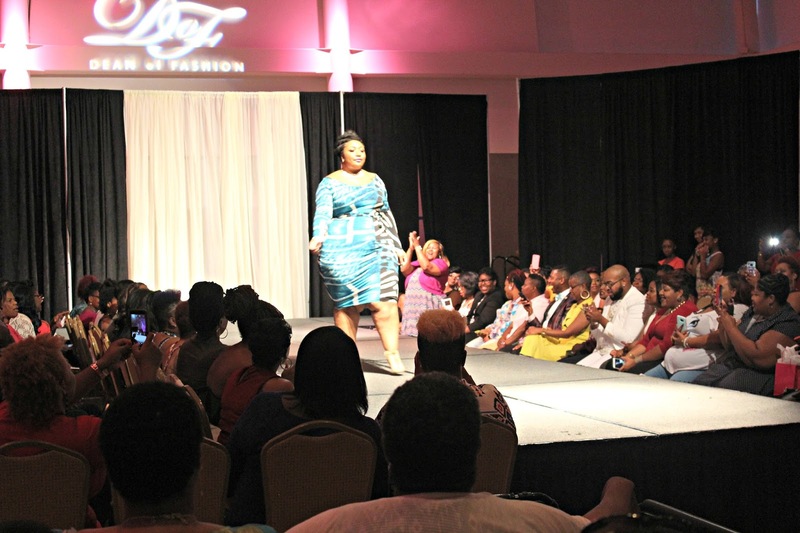 I did have a couple of good poses on the runway thank goodness! Did I mention you had to pose for the crowd and the photographer?! There are no real breaks between scenes. I will admit that I surprised myself with getting dressed so fast, but I made it happen. Between scenes I was getting ready for the next scene. Overall, I did enjoy my experience. I still can’t believe I was in a RUNWAY FASHION SHOW!!! I also walked in the Styled by L. Thomas scene, but I do not have any clear pictures. Same here Kim!!! I still can't believe I did. Yes to being model sistersuitable ? Yes Charla it was so much fun!!!! I'm still in shock! Model sisters!!! I love the truth in this post!